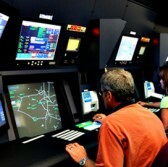 The U.S. Air Force has awarded Aptima a $12,425,604 contract to develop a virtual training environment for use in Air Force Distributed Common Ground System operations. Aptima will provide geospatial intelligence full motion video, high altitude imagery, synthetic aperture radar imagery, electro optical imagery and infrared imagery to DCGS sites, the Defense Department said Wednesday. The Air Force will use the weapon system trainer to transfer DCGS crew to simulated mission scenario from on-the-job training during live missions. Aptima will perform work at Langley Air Force Base in Virginia through June 20, 2017, under the Small Business Innovation Research Phase III contract. DCGS serves to collect, process, analyze and disseminate intelligence, surveillance and reconnaissance data for the Air Force.